I like to think of myself as a ‘glass half-full’ type of person, but it’s easy to lose sight of what matters most and what you’re trying to accomplish in life. We had an incredibly busy year in 2018, achieving a huge amount including a successful incorporation of First Wealth from LLP to a Limited business. It would be fair to say that I finished the year exhausted and in need of a break. 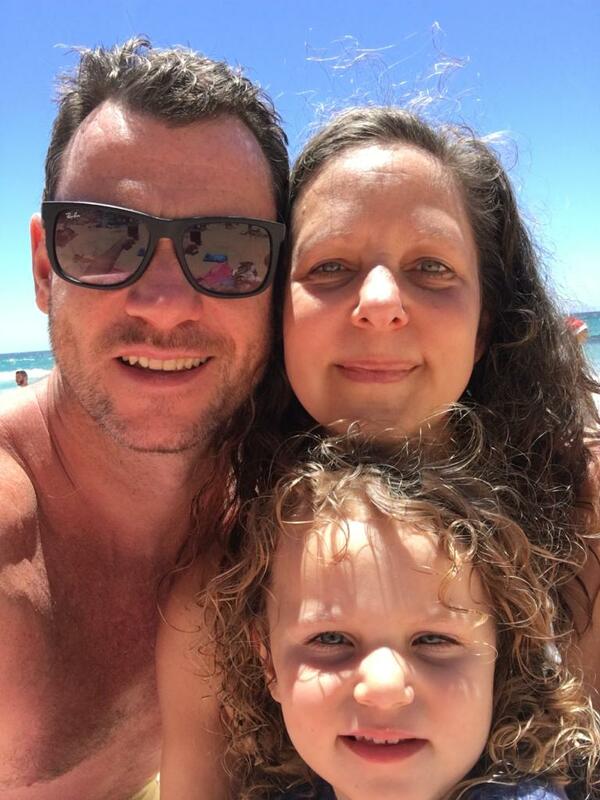 We spent Christmas and New Year in Australia. It was a chance to spend some amazing time with my family, who have been incredibly supportive during the busyness of last year, to recharge the batteries and to start to think creatively again. I am incredibly grateful for the family time we had together. Fully refreshed, I’m looking forward to the opportunities that lie ahead in the next 12 months at First Wealth. I like January (other than the first couple of days back at work!). We can set new goals, aim to tackle fresh challenges and even adopt a new outlook to guide us through the coming year. One reason why the festive break can be so relaxing is because the whole country tends to slow down and take a breather. After the turbulence and uncertainty of the past year in particular, I think we all enjoyed a couple of weeks’ respite from the constant political squabbling and media panic which were the backdrop to much of 2018. Now that we’re in 2019, the cycle has begun again and it’s likely to be another year of general uncertainty and uncharted territory which will potentially be reflected in global market activity. However, during a wet afternoon of soft play in a Sydney shopping mall with my daughter (yes, it was as glamorous as it sounds), I came across a fantastic book which, as we collectively brace ourselves for the unknown surrounded by a whirlwind of news, fake news and endless speculation, has had as profound impact on the way I think about the world, and helped me to adopt a robust new perspective to take into the new year. This is the definition of ‘factfulness’ as described by Professor Hans Rosling in his book of the same name, or to give it its full title: ‘Factfulness: Ten Reasons We're Wrong About The World – And Why Things Are Better Than You Think’. The professor of International Health and celebrated TED talker set out to show how and why the majority of us are wrong about the state of the world we live in, and that we’re significantly more negative and pessimistic about our situation than we ought to be. People tend to think the world is poorer, less healthy, and more dangerous than it is. He sets a series of questions about global trends – what percentage of the world’s population live in poverty; why the world’s population is increasing; how many girls finish school; what the global average life expectancy is, and so on – that respondents routinely get wrong. They think the world is poorer, less healthy, and more dangerous than it is. 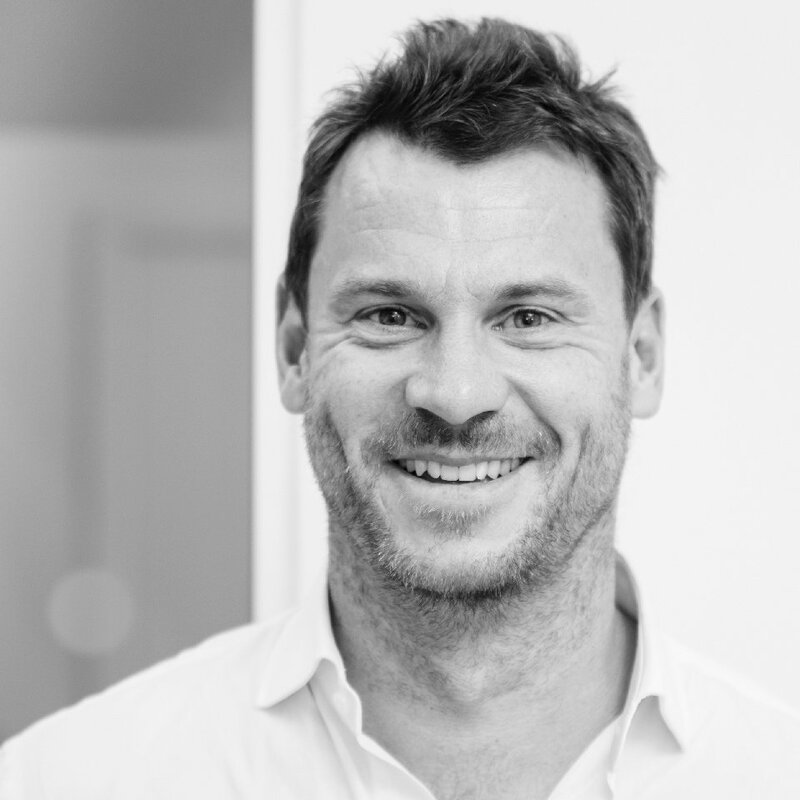 In fact, he shows that the random answers of a chimpanzee would score higher than teachers, journalists and investment bankers – some of the people we look to to help us navigate our way through the information overload! Explaining what’s behind this, Rosling boils his research down to ten instincts that lead us towards these overly negative interpretations. I won’t go into them all here (I’d definitely recommend reading the book for the full list) but it’s clear to see what he means from just a couple of examples. The ‘Negativity Instinct’ is our tendency to notice the bad more than the good. The ‘Straight-Line Instinct’ is when we see a line going up steadily, we tend to assume the line will continue to go up in the foreseeable future. The ‘Fear Instinct’ is the way we perceive the world to be scarier than it really is. We have evolved these instincts to pick out the dramatic highlights from all the information that floods into our brains as a means of anticipating threats and protecting us, but this can sometimes work against us in our modern lives. 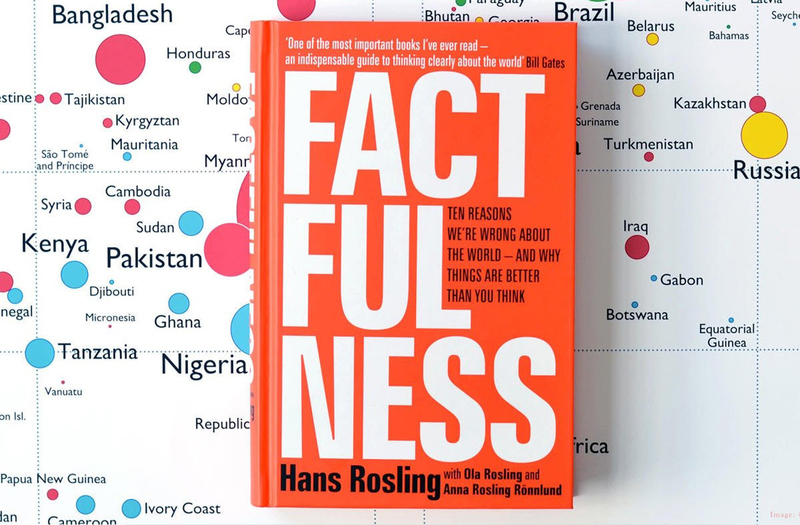 Rosling says we need to be keep these instincts under control, allowing us to think factfully about the world and seeing it more clearly so we can address real problems more effectively. It’s not difficult to see how we can apply this approach to our financial planning. For example, we are surrounded by financial news which feeds into our fearful and negative instincts. There was a time when we would look to the media for guidance and neutrality, but nowadays the way the media works, how we consume news, and even what ‘news’ is defined as has changed. Negativity, endless and competing speculation, doom-laden prophecies and the recent arrival of fake news into the equation can understandably affect our decision-making as investors. Bad news sells. Simply reporting on good news, or normal day-to-day life is seen as uninteresting as it doesn’t capture the public’s attention. In a time of ongoing uncertainty, it’s important to focus on the facts and to make an effort not to get influenced by information and opinion that’s not backed up by the data. In a time of ongoing uncertainty, it’s important for us to focus on the facts and to make an effort not to get influenced by information and opinion that’s not backed up by the data. The best way to ensure this in your financial and investment planning is by working with a financial adviser who can provide a comprehensive knowledge of market history and activity and the impartial perspective necessary for sound and factful financial decision-making. Rosling believes that worrying about potentially everything all the time instead of embracing the facts robs us of the ability to focus on the true challenges and opportunities facing us. This thinking also chimes with our First Wealth philosophy of identifying what matters most to us and the importance of not being diverted or distracted from this as we make plans for the future. The author is careful to explain that he’s not a blind optimist. He instead thinks of himself as a ‘possibilist’ – someone who’s keen to understand how we can continue to make progress based on the evidence of what we’ve achieved so far. In many ways, investors are all possibilists. Making an investment is a vote of confidence in the markets. It’s looking at the history and data of stock market activity over time and coming to an informed view that they will continue to rise over the long term, powered by the ceaseless progress of humanity and the great ideas and innovations that drive us forward. This is the mindset I’ll be adopting as this new year plays out. Being faithful to the facts and focusing on what matters most to us are the surest ways of keeping perspective and achieving the best outcomes possible in 2019 and beyond. If you would like some help in achieving the best of what’s possible in your year ahead and beyond, please get in touch, we’d love to help.